1) The IceDogs are in Guelph this afternoon to complete their season series against the Storm. 2) When these two teams faced each other in just over a week ago, the IceDogs fell in overtime in a thrilling game, in which they came back from a 2-goal defecit. 3) Ben Jones is currently riding a 10-game point streak. Captain Jones has collected 10 goals and 16 assists (26 points). 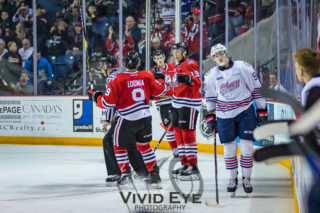 4) Since the trade deadline, IceDogs forward Jack Studnicka has 8 points (5 goals, 3 assists), in 5 games, including a hat-trick last night against the Flint Firebirds. 5) Jason Robertson’s 69 points on the season, ranks 5th in the league. Robertson is 5 points ahead of Guelph forward Nate Schnarr, who has 64 on the season. Akil Thomas ranks third, with 42, Ben Jones ranks fifth in the league with 41 assists on the season. 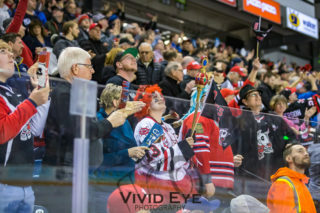 6) The IceDogs have the 12th ranked away powerplay, with 19.1% efficiency, and the 18th ranked away penalty kill, with an 73.3% efficiency rating. 7) The Storm’s home power play ranks 4th with a 27.5% efficiency, while their home penalty kill is ranked 17th with 74.2% efficiency. 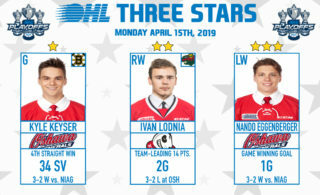 8) Guelph is lead on the scoresheet by Nate Schnarr (64 points), Nick Suzuki (53 points), and Isaac Ratcliffe (50 points). 9) Nick Suzuki also ranks 2nd in the league in game winning goals (7) this season. 10) The Storm come into this game having won 3 of their past 4 games. 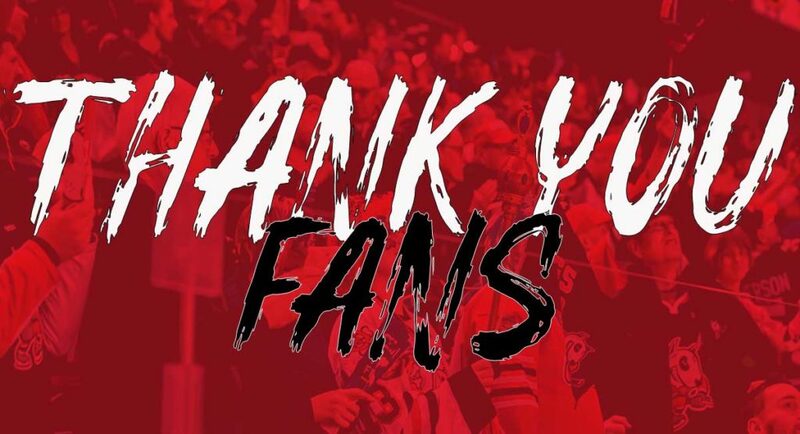 The ‘Dogs are back on home ice Thursday January 24th! The home game against Erie Otters will be a Goodwill Donation game. Drop off a bag of donations at any entrance of the Meridian Centre before the game and receive a voucher for a $2 ticket to the game against Mississauga on February 7th!